Greetings from MHF Magazine, It’s a really a pleasure to have you guys with us, how is everyone doing? Can you tell us about the band and it’s formation? Hey Keith, we’re doing good. These days we are on our “WOLFSFEST” Tour, playing Berlin tonight and Hamburg tomorrow… so I guess everybody is feeling good and hungry for the shows. 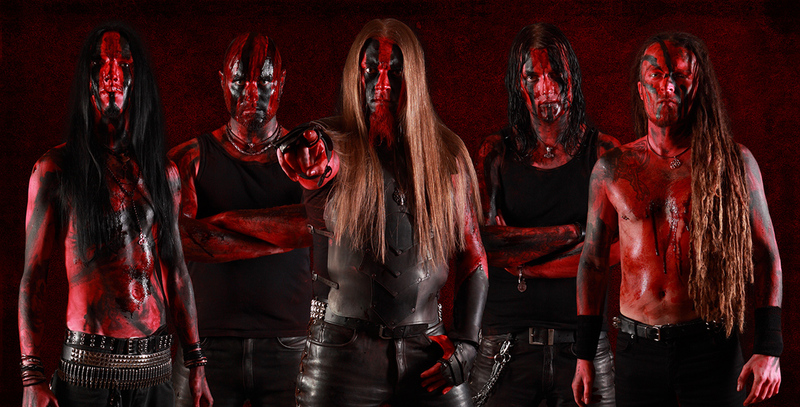 Our formation is the usual metal setup: Fenrier (drums), Skoll (bass), Managarm & Hati (guitars) and me, Freki (vocals). You are scheduled to release a 4 track EP “Götterdämmerung” on 14th of April, Why did you want to release an EP rather than a full length album? Well, we released a full album in 2016 and still had some great songs left. So we thought why not giving the fans some new songs to shorten the waiting time for a full new album. Is this EP a continuation to the 2016 album “Das Ende aller Lugen” and how different it would be from the previous one? The songs of the album and the EP have been written in the same time period, but these 4 EP tracks didn’t fit the “Das Ende aller Lügen” album concept. They are more based on mythology, than modern topics. Let’s say all in all the EP is a bit more “old-school-Varg”. 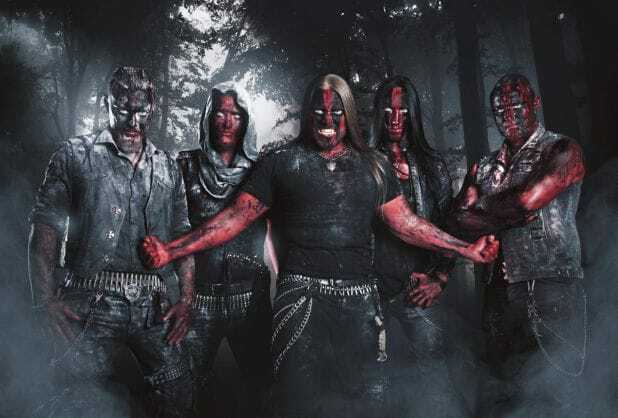 You call the Genre as “Wolf Metal” can you explain to our readers about this genre? The genre name “Wolf Metal” was created because VARG does not really fit an already existing genre. Our music style is constantly changing but still sounds like 100% VARG. So instead of going through “Pagan Metal”, “Black Metal”, “Melodic Death Metal” etc…. we call our music “Wolf Metal”. Easy, isn’t it? Your songwriting is only German, what is the reason for this, do you want to keep the originality of the music that you make, and you know people from all over the world are still going to love you, because music resonates to people regardless of Language? Couldn’t have explained that better. Yes! Your songs are mostly written about life, Freedom , and to find the person inside of us? Is there a particular reason on holding to this specific topic? Life, freedom and the person inside us are important topics for VARG, that’s true. But to be honest, I always write the lyrics without a specific topic planned. Anything that’s in my head during the time a song is written finds it’s way to be part of the written music. Your musical style is basically Pagan and you mixed modern metal into it with a bit of other genres of metal, why did you want to have this mix rather than one specific genre of music? We don’t fit a specific genre because we always do the music that feels right in the moment we’re writing a specific song. Why should we limit ourselves if we can have the freedom to write music without any borders. I have heard about your craziness for the band “Korn”, have you met them personally, how did they become so important in your life and in your career as musicians? They did only for Managarm, one of our guitar players. Anyway, KoRn is cool. But not a big influence to me. You have toured many countries by now, how is the fan response towards your music, do you meet many fans during your shows? How does it feel to building such a fan base Worldwide ? The response is stunning. We call our fans our “VARG Wolfpack” and have a strong and close relationship to them. After the shows we go out to take pictures with fans, sign their CDs and have a nice talk. It feels great to meet so many great people. We really enjoy it! Can you tell us about your participation with “Wolfest” Do you like playing large festivals? Everybody likes playing large festivals “Wolfsfest” is our own mixed-metal Tour. It’s an annual meeting of the VARG Wolfpack and we always present some interesting other bands in the line-up. The new EP is going to be out in few weeks from now, what else does 2017 hold for Varg, possible for a North American tour at some point? We will play some big European festivals in summer and after that returning to Hofmann Studios in Coburg to start the songwriting for a new album. But North America beware… The wolves will be back in town! Thanks for your time, we are so happy to have you with us, before we conclude, do you have a message for the fans and readers of our publication? All you wolves out there – keep supporting WOLF METAL! Thanks for the Interview Keith! Very welcome and all the best to you…..